Spring is here and what better way to welcome warm weather than by doing some spring cleaning and refreshing with some fresh spring decor. First order of business is transforming the small front porch area. 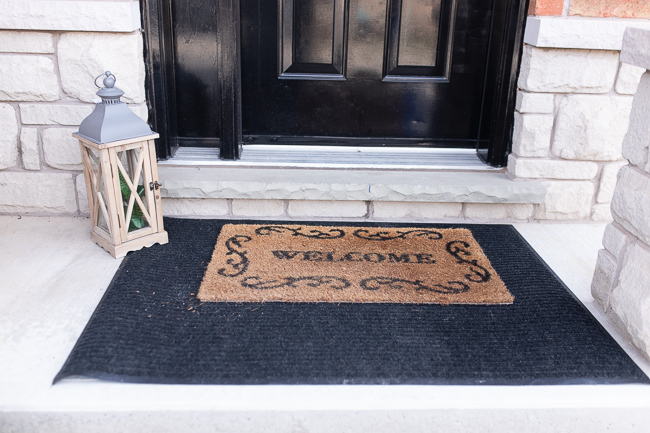 I’ll show you how to create a warm, inviting front porch that will make guests excited to enter your home. 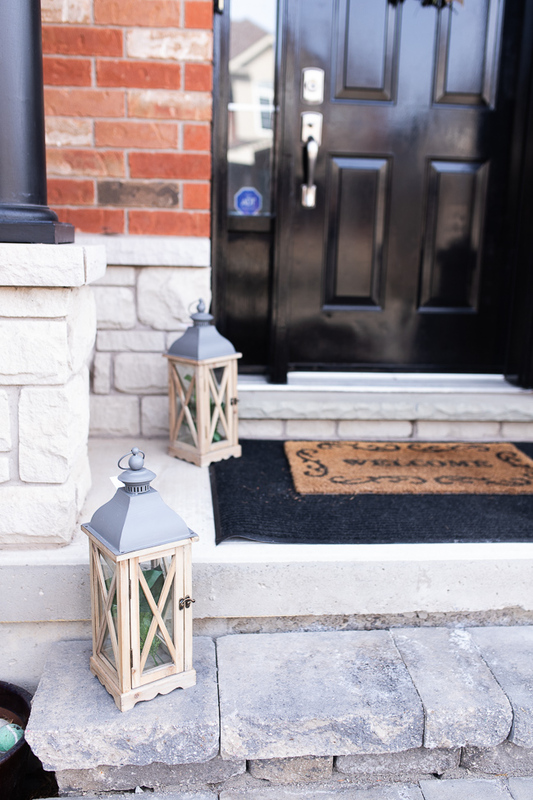 Here are 4 small front porch decorating ideas on a budget that you will love. 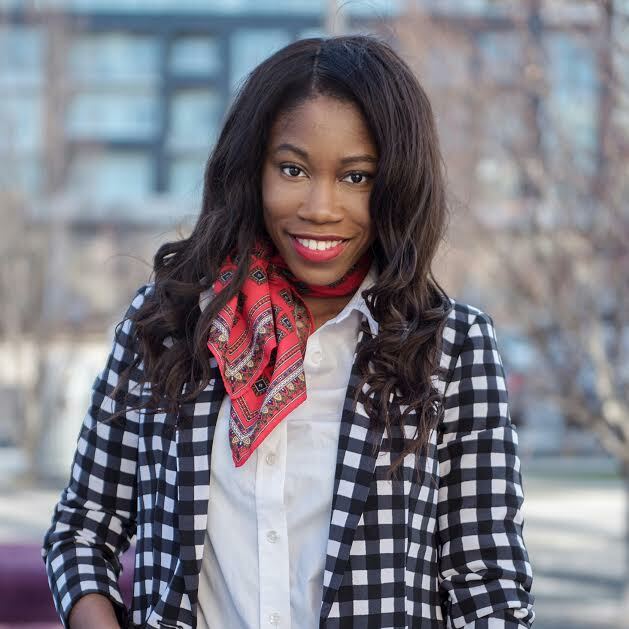 Also, keep reading for some fabulous spring front porch decor ideas from some fabulous other bloggers. 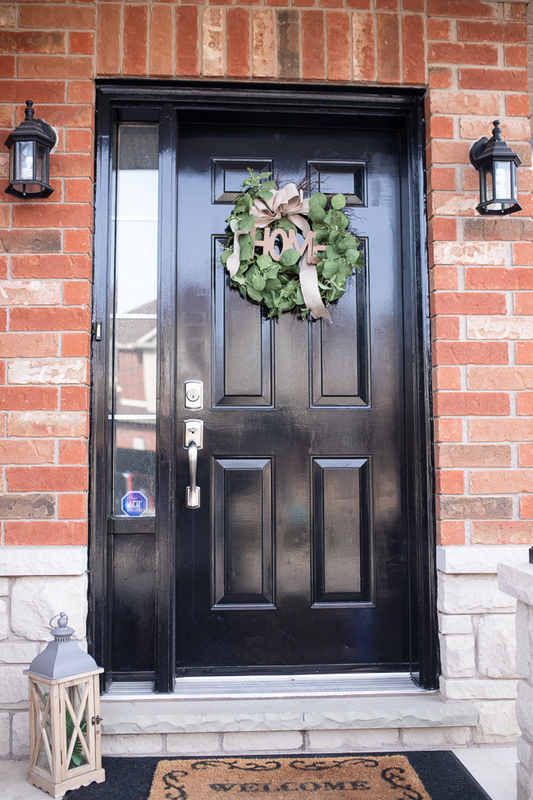 A wreath adds texture and color to any plain door. I usually try my best to DIY whatever I think I can make. 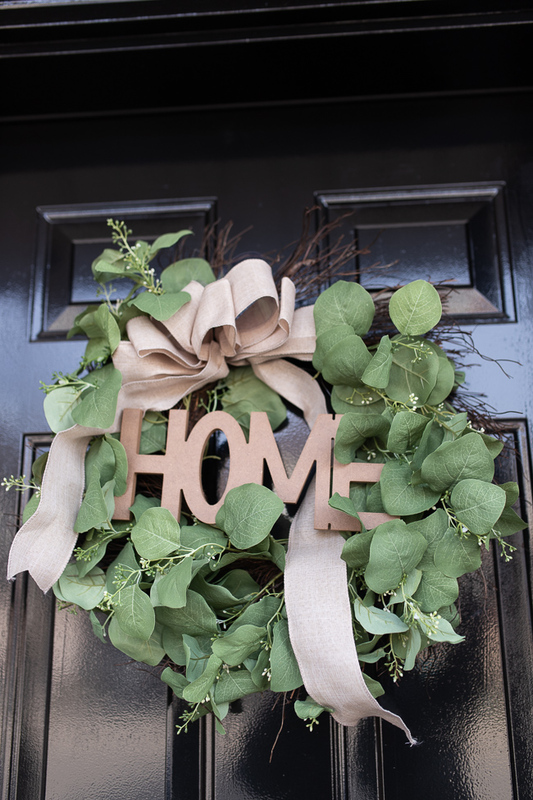 I decided to revive this spring wreath I bought on sale at Michaels by adding this Dollar Tree “home” sign. I decided not to paint or spray paint it to keep the natural and neutral look. I attached the sign to the wreath with some clear jewelry wire. My welcome doormat needed some updates so I decided to try the layering technique to add more interest. Even though it was a simple update it made a lot of difference. 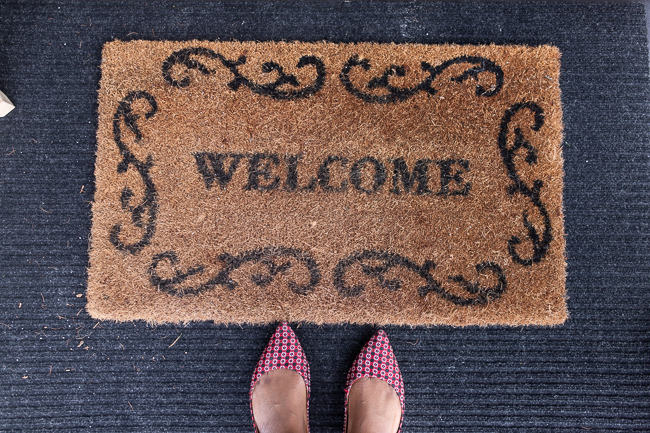 Try layering your simple doormat with an outdoor rug. 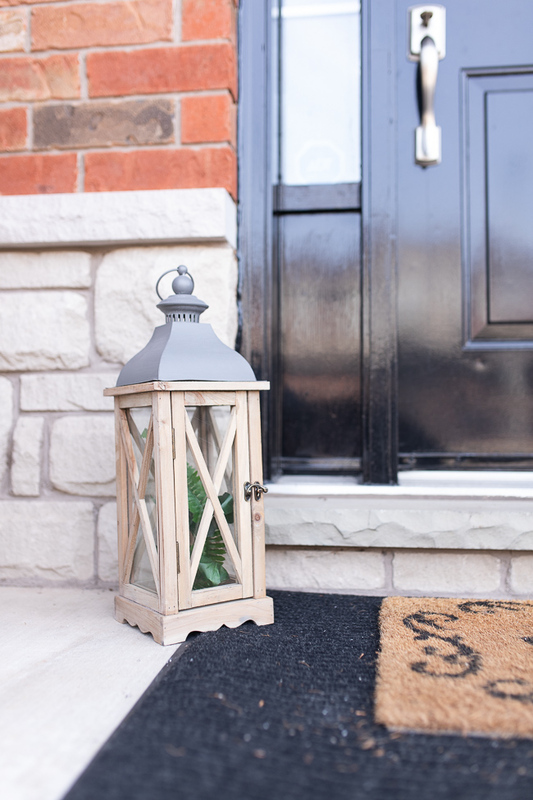 Lastly, add some finishing and personal touches to your spring front porch decor. Here I decided to add some greenery inside the lanterns but you can add whatever personal touch you want. As you can see everything is extremely simple but makes a huge impact. As you can see everything is extremely simple but made a huge impact. I hope you got inspired by the 4 small front porch decorating ideas. Now head to the different links below to get some more ideas. 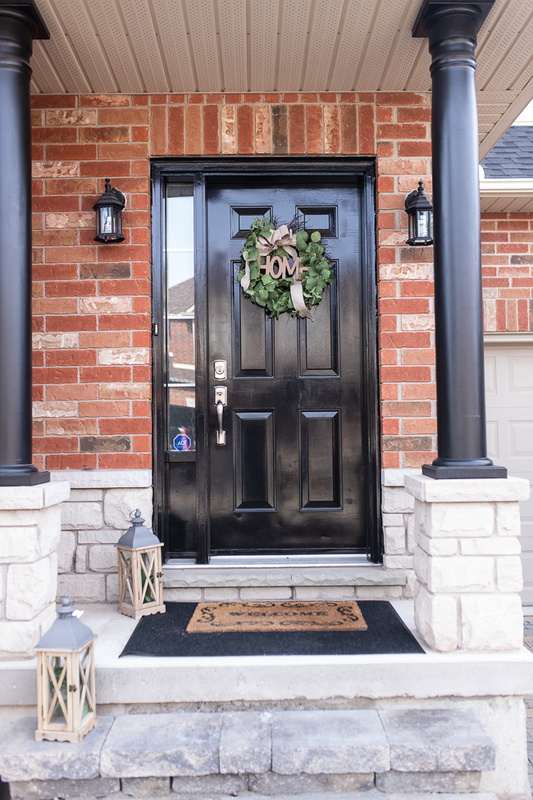 Do you decorate your front porch? Previous Post 3 Easy DIY Easter Table setting ideas, You’ll Love!